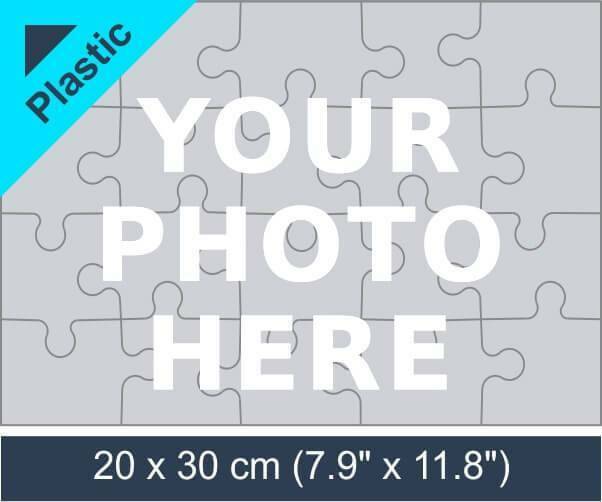 20 piece plastic photo puzzle is ideal as an educational toy! 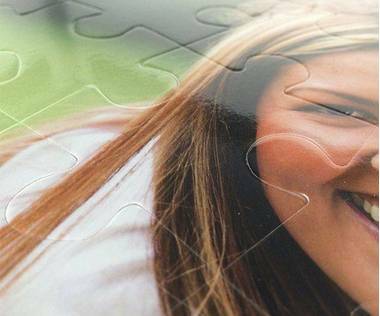 Personalise the 20 piece plastic photo puzzle with your artwork and give it to your kid. He will have a fun time while putting the puzzle pieces together! 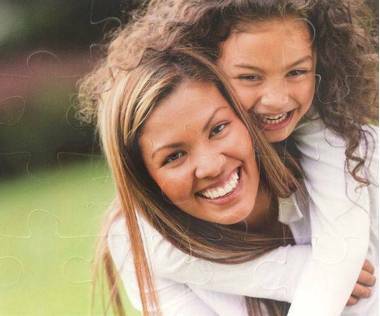 Jigsaw puzzles stimulates your kids brain making him think differently, it will be much more interesting for him to solve a personalised jigsaw with his photo on it! 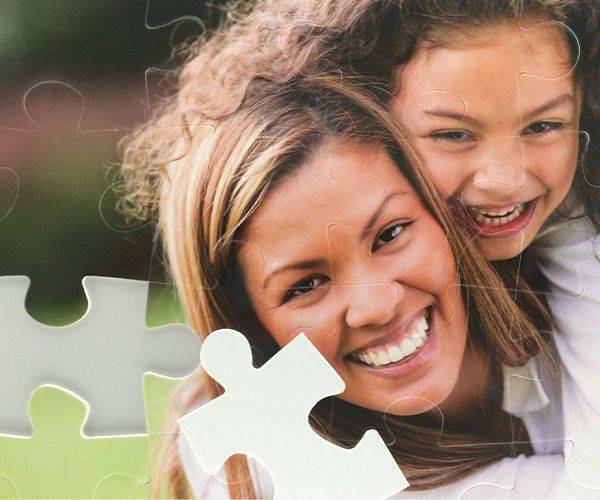 Buying a jigsaw for a child can be a daunting prospect. It will be hard to know what they will be most interested in and even once you have decided, the material could be to flimsy to sustain the wear and tear it will face. When the pieces are made out of plastic they will be able to deal with some rough handling and the choice of pictures is endless. Any child seems to be obsessed with seeing themselves and will always have in interest in something that depicts them. By choosing their favourite picture of themselves and turning it into a jigsaw, you will be able to give them a gift that is both going to keep them entertained as well as improve their motor skills and observational skills. With a picture of the jigsaw on the box they are going to know right away what they have received. 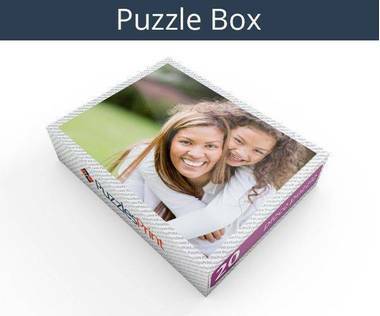 When they first receive 20 piece plastic photo puzzle they may not be too sure what to do but with a little help and encouragement they will soon get the hang of it and want to show all who come to visit the gift they have. It is more than likely that friends who see it will want to buy for their own child and their friends will be asking for one for themselves. 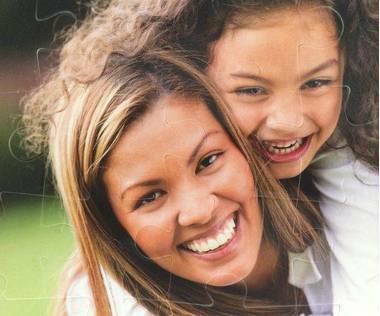 As it is just 20 pieces it will not take long to make up and could be the start of a life-long interest in jigsaws. The pieces are a nice size for a child’s hands as they are not too small and will not get dropped all the time. When completed the jigsaw measures 7.9" x 11.8" so will fit onto most tables and little arms will be able to reach all parts. It is easy to place an order for a 20 piece plastic photo jigsaw as you will be using your own photograph and the site makes it an easy process to follow. Delivery will be in a matter of days and if you decide to order multiple ones of the same photograph and with the same short message then there is a discount available.